As a non-profit organization, YAC needs your support to positively impact the lives of at-risk youth and their family members! The following are additional ways of giving. . 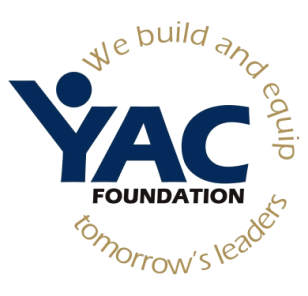 Please contact us at 805.312.8242 for further information regarding charitable contributions to YAC. Careful planning today can result in a nice gift from Uncle Sam when tax time rolls around! The federal government encourages you make to make a gift to a qualified charity. Your gift may be made in a number of ways depending on your particular situation and careful planning is the key to maximizing your benefits. The following may be helpful as you consider the best way to make your year-end gift. Your gift of cash to a qualified charity prior to December 31 could cost you much less at tax filing time. For example, if you make a $2,000 gift before December 31 and are in the 28% marginal tax bracket, your gift could save you $560 in taxes. The federal government recognizes the contribution non-profit organizations make to society and assists in making the gift through tax deductions. Life insurance is a unique way to give to charity. To qualify, the charity needs to become the owner and beneficiary. No incidents of ownership should be retained. If the policy is paid, your charitable contribution is generally the replacement value or cost basis of the policy, whichever is less. Ongoing premiums paid on a gifted life insurance policy also qualify for charitable deductions. If your gift of appreciated securities or stock is one you have owned for more than one year, you may deduct the full fair market value of the stock. Assuming you have owned the property for more than one year, you may deduct as a charitable contribution the fair market value of real estate while avoiding all capital gains taxes.